How does Linden Lab view the importance of education and the placement of its products when it comes to education? EA: I think it’s quite core to the idea of what Second Life is. It’s always been a very strong core audience in the educational space; the platform itself leans itself to supporting or solving or augmenting a huge array of educational use-cases or scenarios – and sometimes we’re not even aware of all the things that you do or are able to do, because the platform does support so many possibilities … So I think what’s probably the most important thing is to make sure we hear your needs, and what we can do to make Second Life an even more valuable educational resource and community than it currently is. So I think it just comes with the territory of being the type of platform that it is, that it makes a huge amount of sense for education. Maybe we can chat about Sansar as well. Sansar is a different product, that support virtual reality hardware, but it’s still in early beta. But it is another tool, or another platform for you guys to experiment with in addition to Second Life, as you see fit. I’ve spent quite a bit of time with Jeremy Bailenson [founding director of the Virtual Human Interaction Lab] at Stanford [University] and the research he’s doing and just understanding how virtual reality and … the ability of people to express themselves or experience things in virtual worlds and virtual reality and … how powerful a medium that is to help people both teach and learn and train across almost everything that humans being do. So, it’s very near and dear to us. Are there things that are coming about as a result of planned partnerships between Linden Lab and other organisations [like Stanford University], and are there other opportunities where educational groups can be more involved with Linden Lab? EA: It would probably be more on the Marketing side … For those of you who don’t know, Pete Linden [Peter Gray, former Director of Global Communications], who many of you have known for many, many years, he moved on to an interesting, fascinating role over at Facebook in the field of artificial intelligence. so now we have Brett, who I work with very closely, who runs Marketing for Second Life, so I think it would be important for many of you to connect with Brett over time to figure out how we can collaborate and help each other to become even more successful in the area of education. BA: I’ll start from the top. For those of you who don’t know, I do have a background in education as well as the tech sector. I’ve actually been an educator at various places for 15 years, and currently I teach a class at Washington State University. I’ve used virtual worlds in the education sector quite a bit. We did a mixed reality event there a few years ago. We brought in folks both in-world and in the physical world as well , and of course I’ve used it in the classroom as many of you have, so I’m a huge advocate, and in terms of stepping into these new areas or responsibility, I’m looking forward to finding opportunities to connect more with the education community. I also want to point out and remind folks, although I’m sure many of you know already, we do have a couple of specific areas to support the education community. For example, the SLED distribution list – for those who aren’t aware of it, that is still active. We have over 5,000 members who communicate with each other via that distribution list. IN addition, we have the education community forum. But for anyone who is interested in reaching out, or learning more about the education initiatives, you can reach out to me directly, or connect via any of those avenues. Does Linden Lab have an specific plans for promoting education in Second Life or Sansar? EA: I want to let Brett speak to this, but at a high level, the team is very focused on growth – both revenue and user growth. And so education would be a tough area for us to spend money on, so to speak, to get significant growth in user numbers. But that doesn’t mean we don’t want to help out in every way we can to make sure that education participates in this growth and can be a growing segment of Second Life. BA: Yeah I just want to point out to people that Place Pages have been launched in the last few months … and some people might not know about Place Pages (see here and here for more), and it has specific value for anyone who wants to promote their presence in SL … And if you don’t know what a place page is and why it is relevant to this question, it’s essentially a self-service promotional tool. 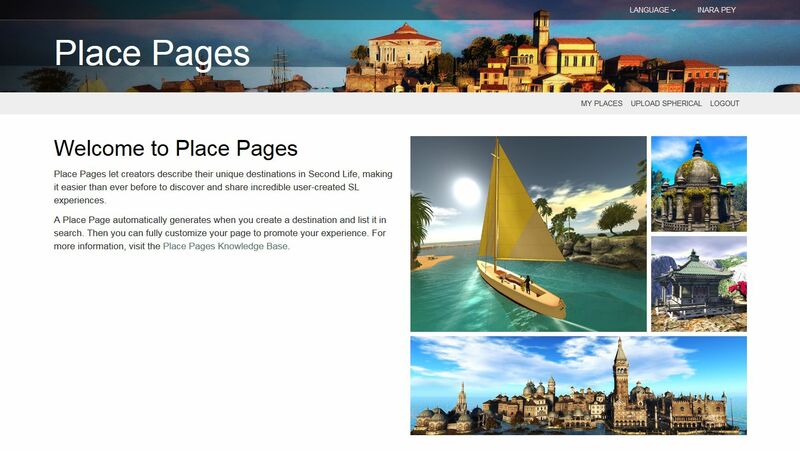 You can use it to quickly assemble a promotional page for your Second Life presence. You can tie an events calendar activities to it, you can put in a 360-degree image into the header … I really encourage people to check this out; it’s still rolling out here, so not many people know about it, but I think for the educational sector in particular, there’s a lot that can be done with this. You can use it to promote your presence in-world, and edit it and curate it to your own liking and not be dependent upon others. So that’s one new thing we’ve rolled out, and of course we looking for other opportunities as well, but that’s one I thought I’d share today. EA: I would just like to reiterate again that we want to make sure we have a communications channel with the education community, and we don’t lose anything, or let’s say we make it even stronger and better than it’s been in the past, to make sure we hear you as far as what your collective priorities are as to what would really make this a better resource, a better product a better platform for you to use in the educational spaces. So – we’re listening. Many educators have problems in selling the idea of virtual spaces as a tool to their budget holders. Is there anything the Lab could do to help overcome this – pamphlets, white papers, etc? EA: Again, I think it would be awesome for Brett to work with you guys to really understand what hurdles [you face], whether it’s the IT department or administration; is it cost, is it technology, complexity, is it security – what is it that’s blocking you from being able to use Second Life or Sansar inside of your institutions or classrooms. and yeah, it would be great to have some sort of catalogue of resources you could use to prove your case or to make your IT person comfortable with the security or whatever it might be. So those would be great things for us to understand, and see if we can put together something that helps not only explain the value proposition, but also how technically it works and why it’s secure and why it’s safe and why it makes sense as a medium to improve the ways that you can teach and learn. I think that’s a great idea. We might already have some good material, and may we just don’t have a good place for you to easily access that or find it, so maybe we could have Brett speak to this. BA: I’ll just add that I know we have a wiki page, but I’ll take another look at it, and folks can reach out to me in-world or via my e-mail address, which is brett-at-lindenlab.com if they have specifics. I’ll just offer a personal note here to … At the university I’ve taught with, I’ve done demos of both Second Life and Sansar, and in both cases it required a conversation with the IT team, as I’m sure many people in the audience have experienced … so I think maybe we all can share our learnings together, and maybe assemble it in some useful way for other educators, and I’m happy to take the lead on that. Are there things that you feel Second Life needs to do in order to be more attractive to education based organisations? BA: You know it’s tough because in this role here, there’s a lot of choices you guys have, and it’s been interesting to see. Second life has been around for 15 years, which is amazing. so this year there are a lot of new features that are going to be rolling out, and I think that as a company, we’ll be sharing that roadmap in the very near future. I think for the education community, I think there is a lot of learning that has already made its way into the product, and I think what would be really helpful for us, is to get a list through general consensus, if there’s an organised why to do that, of what the top features are that you guys feel are lacking. whether they could be acted upon, we’d have to look at resourcing, the return on investment, all of the usual things that you would expect. So, again, that might be a separate conversation to have about that. From my experience, Second Life has been a great platform for in-world real-time meetings, distance learning uses, there’s been some scripted experiences that other educators have created that I’ve used … But we’re here to listen and to learn what are the things we can be made aware of and bring that to the Product team. Obviously, they have a lot of requests coming their way from a lot of different communities, not just education. Like any business, we have to see what’s the viable return on investment for any development time that’s related to that; but certainly, we want to be aware of it. I’m happy to take that information and pass it to the product team. I think the most effect way to do it … collectively, if there’s a way to organise it and even rank order by what the community feels are the most important features lacking, or improvements, that would be helpful. How to organise that, I suppose, is to be determined. But for me personally, as someone inside the organisation, that would be helpful for me. to then communicate it to the development team. The only qualification on that is there’s a lot of request coming in. Education is extremely important, but they’re also have equivalent conversations with other communities, so we’ll add it to the list and see where the resources are and whether there are parallels. If an education community’s idea might benefit another community, that’s obviously going to be valued in the development time. Is it possible for the Lab to bring back a dedicated liaison for education / non-profits / libraries? EA: Well, maybe not dedicated as you describe it, but what we have done over this last several months is to actually more cleanly separate the Second Life and Sansar organisations. 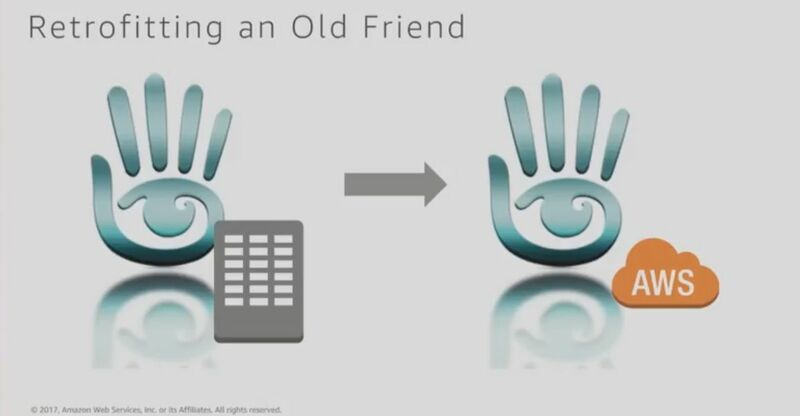 We used to have more resources that were shared, sort-of worked on both. so what we’ve done is, just on the marketing side, for example, we now have Brett and Jenn – or Xiola – and an open head count that’s about to be filled, so we’ll have three 100% dedicated Second Life resources in the Marketing team; that’s kind-of a good step. [We] don’t currently have plans to have even more resources, but with those three people being 100% dedicated to Second Life and not splitting their duties between Second Life and Sansar, they will be able to give more attention to a broader set of initiatives and opportunities, including education. So, things have improved, but maybe not to the degree that you’re asking for. What’s the uptake with Sansar by the educational community, and where do you see the educational opportunities in Sansar as being? EA: We’ve created a few experiences that give you something to think about when it comes to education. for example, we have some beautifully rendered through photogrammetry of real-world tombs from ancient Egypt [Voyage Live: Egypt], where you can walk inside in virtual reality, that does not have public access [in the physical world]. And you can meet people from around the world and discuss the hieroglyphics on the walls, and feel what that place might look like [read more here]. We have an Apollo Museum where you can see the rocket they sent up in the 1960s, and the whole Apollo mission: how they went from Earth to the Moon, and where they landed, and you can travel to the Moon and you can do this all in VR and see all of this stuff in full-scale, with this incredible multi-media experience, a combination of video and audio in this 3D space. And that was built be a third-party that collaborated very closely with NASA to get some of those assets. You know, the challenge with virtual reality in education is getting the hardware and the system requirements to a price and comfort and quality of content that it starts to make sense within educational budgets, which unfortunately you guys don’t get enough of, to be able to use it broad scale. But I would encourage all of you that can, to have a few virtual reality stations in your institutions to make sure that people can have access to some of this content, because it is the most powerful, richest media ever made, and it has this direct response from being inside that world, and having conversations in VR. For those of you who have not tried virtual reality, I highly encourage you to try it out, whether it is Sansar or something else, just to understand how it can help you in the field of education. I believe it’s ultimately going to have a huge impact, because whether it’s training or it’s education, the way you can interact with the subject matter, with people around with world with regards to that subject matter, is something that just cannot be replicated with books or videos or what have you. [It’s an] incredibly powerful medium, so take advantage of it. What is being done to help those with disabilities to access Second Life and Sansar more easily? EA: Sansar actually has a ways to go, and might actually be way more restricted with accessibility for some time to come, compared to Second Life. And with regards to Second Life, I would need to know more specifically what we can do to make it even better. Off the top of my head, I can’t think of anything, because I don’t know of a particular thing that’s a particular hindrance, so this is an area where it would be great for us to just better know. I’m not necessarily saying the team here doesn’t know; I’m just saying off the top of my head I don’t know a particular thing we could do to make it more accessible for a broader audience. Because I know there are already ready so many ways Second Life is used, either through our technology or third-party viewers that actually provide a tremendous amount of accessibility to lots of different people around the world. But, yeah, this is an area we want to listen to and see if we can do even better. “After stream” question: What is the Lab’s view with speech-to-text / text-to-speech? EA: At least there are third-party systems that you hopefully can [use]. I don’t know that we would properly integrate them, but there are systems out there that allow you to convert hopefully on top of what we do. But I am also extreme excited that Google, Microsoft, Amazon, Apple, are spending billions of dollars, fighting like mad to be really good at speech recognition, speech-to-text, speech language-to-language real-time translation. All of these thing are being worked on really hard by these companies, and the cost of us integrating their technology – we sure wouldn’t build it ourselves, we’d have to partner with one of those guys to incorporate a functionality like that; as their technology improves, as the complexity of us integrating that technology, and the cost of operating that technology comes to a reasonable point, then it would make total sense for us to integrate that. It’s actually being more actively discussed probably on the Sansar side of the house, because in VR, reading and typing are just not really as comfortable or as easy, so it would be great to have text and voice conversion. But again I think, Sansar needs to first get traction and an audience and grow before it starts to focus on what I would say are these types of use-cases that become more niche. But again, these are the things we should just continually keep putting in front of ourselves and then help ourselves understand how much value that could bring. Because it’s always tough; we need to continue to grow and we need to continue to make money – not just us, but also the creators and users inside Second Life who want to be successful in business as well. So how do we chose whether to work on something that could bring value to the 80% versus the 20% is always an interesting challenge. But let’s just continue to bring these up and understand how we can serve that community better. “After livestream” question: will linden Lab allow the SL viewer / Sansar client to support “plug-in” options for users to select 3rd party tools they might wish to use (e.g. with respect to text-to-speech / speech-to-text)? EA: It’s certainly not on our current roadmap to provide a plug-in architecture because we already provide a huge amount of extensibility by being open source [with Second Life] on the client side. So there’s nothing stopping a third-party client from having a tremendous text-to-voice / voice-to-text integration with a third-party, and if someone in the open-source community wanted to contribute some of that… Part of it becomes business model as well there, because Microsoft or whomever you choose is going to want to get paid for using those services, so you then have to figure out how to incorporate subscription levels or what users can use it or can’t use it, depending on the cost of something like that, because it’s not going to come free. EA: It all depends on what you mean by accessibility; it’s a super broad topic. For example, with Sansar, I feel we’re doing a huge service to the industry by bringing accessibility as to you can create a virtual reality experience, hit a button to publish it, and share it with the world. If Sansar did not exist, how would you even being to conceive of doing that? Would you go an license Unity or Unreal gaming engines and start building a virtual world thing to share with your class? I don’t think so. So with Sansar, for free, you can build an environment, publish it, share it with whomever you want and consume that experience in virtual reality. In that area we’re – I don’t like the word “democratising”, but it is kind-of what we’re doing with that medium – because that medium, unless it was for Sansar or High Fidelity – there are few others, really – the technical and economic hurdle to just create the most basic thing for people to have a shared virtual reality experience are incredibly high. You have to be like sophisticated engineering / gaming studio type of organisation. so we’ve sort-of made it possible for all of us to create and share this type of content. So that, I think, in of itself is a huge accessibility contribution we’re making there. Are there plans to make building experiences in Sansar more accessible than using the Edit Mode? EA: I think there are degrees of how easy it is to create and then also how sophisticated the content you can therefore get. If you take something like Minecraft, it’s obviously very easy for people to create, you don’t necessarily get the sophistication of the types of experiences – you certainly can’t create something like we’re doing right here, right now. in something like Minecraft. So, the easier you make it, then maybe you lose out on a lot of the flexibility and possibilities of what you can do with the platform. Second Life has all the tools you need to create something from scratch from within, although obviously you have a lot of creators who use third-party tools to import content into Second Life as well. With Sansar, because we have to do so many things, we chose specifically chose not to focus on the creation of original content, if you will. There’s so many great third-party tools from Blender to Maya to Substance Painter – the list is so long, with incredible third-party tools, both free and commercial. So, we were, “let’s not try to re-invent all of those different tools” and instead make sure it’s easier for people to bring that content in, at no cost, to Sansar. 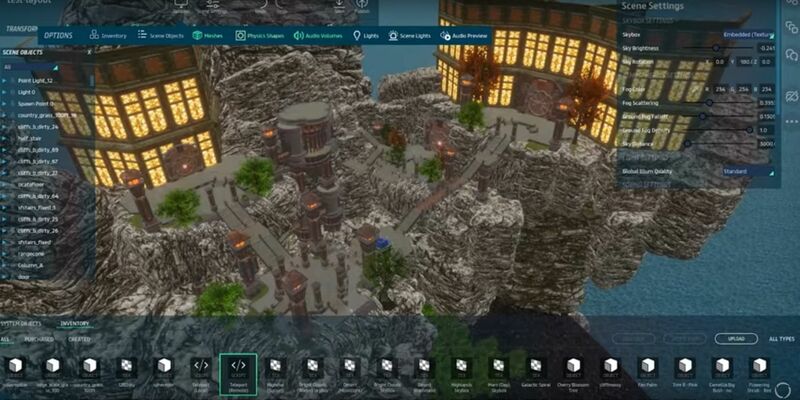 Sansar has an dedicated Edit Mode for placing assets within a scene. There is no run-time editing in the same manner as Second Life. This helps ensure completed experiences, once baked and published, can meet the performance demands of VR hardware. Sometimes you just go like, “wait a minute, we’re trying to re-implement many billion dollar companies all in one package. We want to be PayPal and Maya or Blender, and, and and…” We can’t do all of that, and so for Sansar, we choose to not do what I would call original content tools, and instead rely on third-parties for those kinds of tools. Then just make it continuously easier for people to use those tool, and bring that content into Sansar … so that’s a choice we made over there. For some people who have gotten used to Second Life content creation, if they don’t have specific skills to use those third-party tools, that’s definitely a learning curve to go through from Second Life to Sansar. But if you come from the world of knowing how to use those tools already, Sansar is quite comfortable for those who already know those tools. In terms of research and development, is there anything you could share with us? EA: Well, first of all, because it keeps coming up because we are working on Sansar, people keep asking have we stopped investing in Second Life. [That] couldn’t be further from the truth. Just so everybody knows, Second Life and Sansar are two independent teams that are completely dedicated to each of those products. Second Life, if you think about R&D, is close to 100 people, so it’s a fairly large organisation from product to operations and customer service and engineering and data – and I’m not even including the people who work in finance, and compliance and all these other aspects of what we’re doing. So we’re still really serious about our investment in Second Life, and the team is very motivated and dedicated to get growth in Second Life. So it’s not something that we’re just letting run its course or milking for revenues, or anything like that; it’s active investments. And I’m sure many of you have noticed a number of things that have happened over the last several years as far as improving performance, getting out a 64-bit viewer, and continuing to add features whether it’s Animesh, which could maybe be useful in educational use-cases; more environmental enhancements, so it’s easier for people to have control over the environment on their parcel or on their region. So it’s continuous investment across a number of areas. And another area that’s really high-level. We’re really thinking hard about the economic model of Second Life. We share a belief inside the Lab that land is quite expensive. so we’re constantly looking at ways to lower land prices and find other ways to find revenues. So I think you will see us try to shift from what I would say [are] high real estate taxes to more consumption taxes or fees to create an environment where it’s easy for people to create and own experiences, and we [the Lab] participate more in all the transactions that take place. Just as you saw [on Wednesday, March 14th] we lowered pricing on Mainland by 10%, while giving more land to people to play with (official blog post and my thoughts). We also did a couple of years ago, a buy-down programme for private estates to help people on the cost side of land. We’ve also once or twice increased some of the fees in other areas, like redeeming your Linden Dollars – some of those fees have increased. So we’re going to continue to look at ways to make it more affordable for people to own land in Second Life. And hopefully all of that will benefit all of you as well, whether directly or indirectly. Are there going to be any changes to land prices for educational uses? EA: So we’re half price at the moment, which is a pretty good deal. We have looked at whether we could go even further – and I would hope that we can go even further, it’s just not something I can commit to at this point time – but as we continue to shift our revenue sources from land to other fees, subscriptions, transaction fees, etc., that over that transition – we can’t snap it all into place at once, that would be an incredible risk on the whole economy, if you will. So we have to do it in steps, but I’m hoping along the way we can find ways to make it even more affordable for the educational pricing as well. Are there any other technological improvements you’re planned over the next 12 to 18 months? EA: The things that we’ll continue to improve on – some of it might not be obvious features like Animesh or environmental control of weather than time and stuff like that – but a lot of stuff under the hood when it comes to performance, scalability, security, more easily being able to manage bad scripts that do bad things, so all kinds of griefing vectors that people try to check out. Just to make it a bit more stable, performant and secure environment is a lot of work. Other things, like I mentioned earlier, is to get a better, more well-balanced revenue model and economy by continually trying to find ways to lower land fees and find other ways to increase fees and maybe improved subscription programmes to get a better revenue model if you will. BA: You know, we know a lot of the time all of the communities like to have a head-sup to where we’re going, so as I mentioned earlier, this is our 15th year; just think about how amazing it is that Second Life is still as vibrant and active as it is after 15 years. and we want it to be the same 15 years from now; we want it to evolve. And so one of the things you can expect soon from us, and it could be in the next week – I don’t want to give a specific timeline – but it is a sort-of public acknowledgement of on, we’re kicking-off our 15th birthday, but also there’s sort of a roadmap of things that the community can expect, about why they should be excited about Second Life in the coming year, whether it be features or other types of things. You know we saw a little hint of that just yesterday [March 14th] with the pricing announcement. That was something I don’t think people necessarily expected; that’s one of many surprises that are good, that I think people will see this year. Could you give us a little bit of your long-term vision and commitment to Second Life in relationship to Sansar, and where you see both platforms going over the next while? EA: A big reason for us to invest in Sansar is the future of VR. The was Second Life was built, unfortunately, is not really the way you want to go about things if you really want to take advantages of the virtual reality hardware that’s coming out. You have some incredibly high performance requirements for getting 90 fps, for example, for VR. and we wanted to capitalise on the future of this new hardware, of being completely immersed inside the world. and unfortunately, bending second Life to meet that would not have been possible. So I see it as two independent products, where each of those two will march to their own beliefs as to what they can do to best satisfy their customers, and I also believe that a lot of customers will use both for different situations and scenarios. Sansar is not trying to be “Second Life 2.0”; Second Life will be Second Life 2.0 over time, unless – I guess we’re on 15.0 now! And Sansar will do its own thing, so in the Venn diagram between the two there’s a big overlap, but there’s also specific things that are very unique to each of those two platforms that make each of them better for certain things. That’s how I think about it in general. Where we’re going? Well, we believe we’ve just scratched the surface with Second Life [so far], both where Second Life can go and where Sansar can go. We’re enabling people from around the world to have virtual experiences where they can come together and have social interaction with each other and the world. That covers almost everything human beings do, almost. This meeting we’re having now, school, meeting with family, friends, co-workers; if you think about what humans do, we travel in physical space from one space to another throughout our day, from our bedrooms to our living rooms, to kitchens, to offices, to clubs, to entertainment venues to museums, to churches, to all of these things. and all of these things – and a lot that’s not possible in physical space – happen in virtual space. So we and you are sort-of the early pioneers in this field, but we still feel we’ve just scratched the surface of this, and we’re very enthusiastic about what the future has as hardware and networking and a whole generation of people growing up, like my kids, that eat virtual reality experiences for breakfast every day, like it’s just how things are done now, whether it’s Minecraft or what have you, where it’s just going to become a more and more obvious medium for people to interact with each other. So, early, early, early days, even though Second Life is 15 years in, and we’re really excited about what is going to be made possible for all of us in the future. What is the status of the move to the cloud, and what are the benefits the Lab is hoping to gain from the move? EA: It’s a huge effort. Right now the Second Life grid is a proprietary set-up in a hosting facility that we have customised for the purposes of what we’re doing – which made sense a decade and half ago. But these days, with the services from Google and Amazon and Microsoft with cloud infrastructures, it makes a lot of sense to shift our technologies to be on top of those cloud infrastructures instead of having our own. There are some benefits to us: it turns it into less capital expenditure to have to buy all the equipment and doing all the maintenance on that. You kind-of pay for what you use; with Second Life [right now], once we’ve bought a piece of hardware, we have to sit on it whether it’s being utilised or not, whereas you can kind-of dynamically scale your consumption as necessary when you use something like AWS … which we believe will reduce costs for use and then ultimately, we hope to pass that on to customers. The other benefits we foresee is it gives us more flexibility in what kind of server hardware we can utilise, so there might be different tiers on the sever-side as to how much performance you want. It would be easier for us to let you choose, maybe for an event like this, to run on a super high-powered server that we give you even higher concurrency of visitors and higher performance. But maybe you only want that sometimes, and not all the time. So maybe more flexibility to choose, let’s call it the hardware spec, that makes sense for the particular use-case or the regions in question. Another benefit might be geographic distribution of server infrastructure. Today we are located in the US, which means that people from Australia or Asia or Europe have to travel quite a ways, which is hundreds of extra milliseconds of latency. So if you want to have a very dedicated community in Australia or somewhere, we could maybe start to distribute our server infrastructure to be closer to where the actual customers of those regions are, which would make things more performant. Maybe we could do something similar to what Sansar is doing. Sansar spins-up and shuts down server dynamically, so if no-one is visiting a particular region – we call them “scenes” in Sansar [experiences when published], a server instance – after just a few minutes, we can shut that server down, and just park that whole experience on disk, which is much, much cheaper than running it 24/7. But this is a huge project. Just transitioning our infrastructure from where it is currently at to a cloud infrastructure like that is going to take all of this year and then some. We’ve already progressed [in that] there’s a huge number of different types of services and databases and system and all kinds of things that will, piecemeal, shift over to a cloud infrastructure; but to get the whole thing done, it’s going to take this year and then some. And then, having moved over, and with things hopefully running just a bit better than they are now, we can start to think about taking advantage of that in ways I described earlier. There used to be a VR-enabled viewer and a browser-based viewer as well. Are you looking to redeploy those technologies for Second Life? EA: From early testing on bringing virtual reality into Second Life, we came to the realisation that the system requirements and the platform requirements just weren’t there for Second Life to go over to virtual reality. In order for you to have a constant 90 frames per second experience would be extremely challenging because of the architecture of Second Life. Actually, I was just reflecting on how awesome Second Life is compared to Sansar in one aspect. When we first came into this space, the chair I’m sitting in was just a little further away from you, and it was easy for someone to just move it, right then and there. In Sansar, you can’t do that. You have to go into a dedicated Edit Mode and then publish – what we call “baking” – a scene or an experience. And that’s something we have to do with Sansar to get, ultimately, a run-time experience of extremely high performance. And so this awesome thing we have in Second Life where the run-time environment and the editor are sort-of synonymous, it’s sort-of one in the same thing, would be extremely challenging to do [in VR], so that … ease of authoring in real-time kind-of has a performance penalty. That’s a strength that Second life has, and then Sansar was more optimised to get the frame rates needed for VR, which forced us to go down a different path for Sansar. So we are not currently investing or considering virtual reality as a way to consume Second Life. I mean third-party viewers can give it a shot, but I think they would all have the same challenges we have. Browser based? We did some experiments to see whether a server-rendered version of [Second Life] that then streamed to a browser would work, and several attempts over the years have been made to do that – you may remember OnLive a few years ago had a mobile streamed version of Second Life [SL Go]. We did experiment a little with that to see if it could at least ease the on-boarding and improve the conversion rate for new users coming into Second life, where they didn’t have to go through the hurdle of installing a client; they could just walk into Second Life directly from their browser. Unfortunately, the conversation rates didn’t prove out. We were all very optimistic that it would improve conversion rates, but we failed to get the data we wanted. So we sort-of stopped with that effort as well. And that would have to be a subscription option because that would mean we would be running the CPUs and the GPUs in the cloud to render and then stream the content to the browser, so that would have to be a subscription option. That would be extremely costly for us to offer as a free-to-play option. We might revisit that in the future as cloud-enabled GPU technologies become cheaper, but for now it would be up to third-parties to offer those services. We’re not working on that inside the Lab right now. The following were questions asked by the invited audience after the livestream had finished – note some “after livestream” questions / comments have been addressed in the sections above as well. EA: We used to have a Teen Grid, but there’s no current plan to do an additional grid. But that might be one of those interesting things that might be possible after we go to a cloud structure, when it might be easier for us to spin-up unique, dedicated grids for different types of audiences. But that would definitely be beyond the cloud move we have to do. Trying to spin-up additional grids which require additional hardware infrastructure to be acquired at this point in time I don’t think is something we’d want to do, since we’re trying to basically walk away from our current infrastructure, rather than build it up more. So I think something like that is something we maybe could entertain later next year. Can Educators be given more control over their regions (specific requests included better access control; ability to dynamically adjust the chat range; better control over what students can see / do to ensure attention is paid)? Aside: The Lab is working on improving the region / estate tools, specific with regards access / ban lists. There is currently no ETA on when this work will be completed / deployed, but I’ll have a report on in this blog directly and / or via update in my weekly SL Project Updates as the updates are made available. …What the Product Team ends up doing then is going, OK, if we had that capability, how many more students would we get? How much more money would we make? How many regions would we sell? So we have to think about how these ultimately tie-in to business value and growth. And that’s sometimes where it gets difficult to get some of these ideas through.